Most of the still flying A310s are ex-passenger aircraft converted to freighters. The Airbus A310 is a widebody twin-engined aircraft for medium- and long-range flights, seating about 200-220 passengers. It was the second aircraft type developed by the European consortium Airbus Industrie. From the beginning the Airbus Industrie management was well aware that it could not survive in the long run with only one aircraft type. An aircraft that sold badly. But after years of poor sales, 1978 became a good year for Airbus Industrie. After a big order by US airline Eastern Airlines it sold many more A300s and the British government decided to re-enter the Airbus-undertaking as a risk-sharing partner. In the meantime the airlines were recovering from difficult years in the mid-Seventies and showed more interest in buying new planes. This gave Airbus Industrie the confidence for the launch of the A310 in the same year. In the early design stage the new aircraft was referred to as A300B10. The A310's fuselage is 13 frames shorter than that of the A300B4 and has a smaller wing. This wing is structurally similar to that of the A300, but aerodynamically it is a completely new design. It has a higher aspect ratio, but less span and less area. The tailplane is also smaller than that of the A300. Airbus revised the main landing gear and renewed the engine pylons. On later aircraft small wingtip fences were introduced. The A310 competed head-on with the Boeing 767. The main difference between the two aircraft is the fuselage diameter. The A310 has the same diameter as the A300 allowing eight-a-breast seating (2-4-2). The narrower 767 offers seven-a-breast seating (2-3-2). Thanks to the wider fuselage the A310 can accommodate standard LD3 containers in its belly in a more efficient way than the 767 can. These containers are also used in the DC-10, 747 and TriStar. Some of the early A310 customers, like Lufthansa and KLM, chose the Airbus aircraft because of the better LD3 accommodation. A major innovation was the digitised two-crew flightdeck. Flight information was presented to the pilots on CRT displays and electronic systems instead of traditional instruments. The disappearance of the flight engineer from the cockpit, however, resulted in discussions about safety. Not everyone was convinced that the omission of a third pair of eyes from the cockpit was an improvement. Because of a conflict about this matter with its cockpit personnel, KLM couldn't operate its newly delivered A310s for months. The first flight of the A310 took place on April 3, 1982, and one year later Lufthansa and Swissair introduced the new aircraft on their route systems. Airbus has built a total of 255 A310s. The last A310 was delivered in 1998, although there was still an order in the books for five A310s for Iraqi Airways, which were never built. The final assembly of the A310 took place on the same production line as the A300. 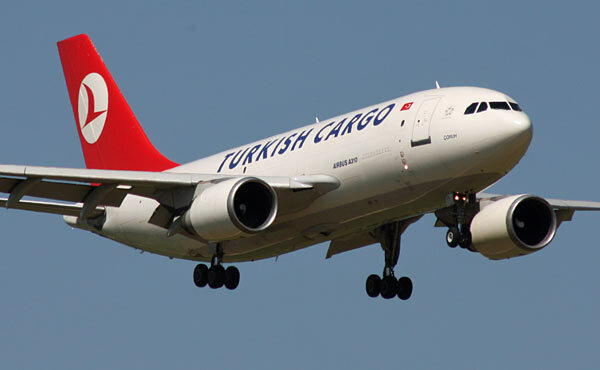 Many ex-passenger Airbus A310 aircraft are converted to freighters. The German Luftwaffe flies a number of aircraft converted to aerial tanker/transports, referred to as A310MRTT (Multi Role Tanker Transport). Air Malta leased this A310 for a short time from Lufthansa. The standard version is the A310-200. It was available with General Electric CF6 and Pratt & Whitney JT9D engines. A proposed Rolls-Royce version was never built. Airbus delivered one A310-200C (Convertible) with cargo door and strenghtenend cabin floor for the Dutch charter airline Martinair. The Airbus A310-300 is a long-range version with higher weights and increased fuel capacity. The overall dimensions are the same as of the A310-200. To find additional fuel capacity, the tailplane interior is used as a kerosene tank. The A310 was the first airliner to have this feature. An advanced fuel transfer system makes it possible to change the centre of gravity position of the aircraft during flight to decrease drag. The A310-100 was a proposed short-range version which was never built. An A310 freighter of TMA of Lebanon.